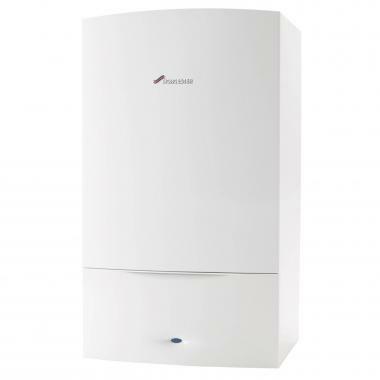 The Worcester Greenstar 34 CDi Classic combi has been designed for larger homes with two or more bathrooms and is billed as Worcester top of the range combi boiler. With a SEDBUK 2009 efficiency rating of 92% the 34 CDi Classic is a highly efficient combi boiler. The flow rate is typical for this size of boiler at 14 litres per minute but if you require more there is a 38kW and 42 kW version available. The boiler unit measures 76x44x36 cm and weighs in at 47.5kg which is typical for this output of boiler.